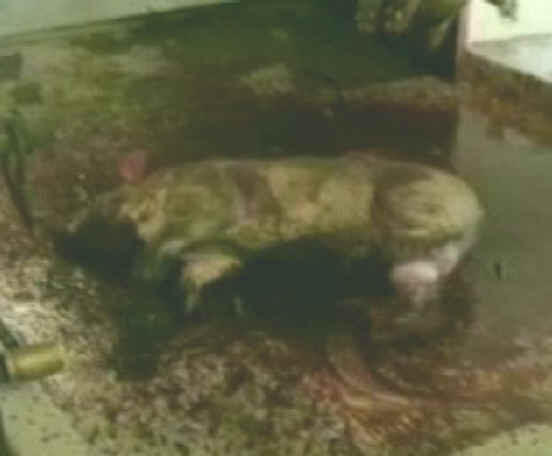 (Pig Exploitation - Slaughter - 27) The pig continues to struggle in the blood covered floor. Don't contribute to these atrocities. Don't eat or wear animal products.